. ::C & C PAT Testing::. 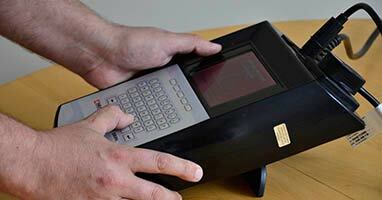 Why PAT Test your business? How frequent do I need to test? What our PAT testing service include. Pat testing or portable appliance testing is a procedure done to guarantee a good health & safety policy in your work area. It’s a common knowledge that 25% of all electrical accidents involve the portable appliances. That´s why regulations and reasonably practicable steps were established, intending to ensure that no danger result from the use of such faulty equipment. This in effect requires the implementation of a systematic and regular program of maintenance, inspection and testing. The level of inspection and testing required depends upon the risk of the appliance becoming faulty, the nature of its use and the environment in which it is used. The Institution of Engineering and Technology (The IET) published the "Code of Practice for In-service Inspection and Testing of Electrical Equipment". This guide forms the basis for portable appliance testing in the United Kingdom. We practice our services according to this Code of Practice. Portable appliances: An appliance of less than 18kg, that can easily be moved whilst in operation or not. Movable equipment (transportable): Equipment with wheels, 18 kg or less and not fixed. Hand Held equipment: Intended to be held in the hand while operating. Fixed Equipment: All appliances fixed to a support and secured in a specified location. Information technology equipment: All electrical business equipment such computers, photocopiers, projectors, printers, etc. The Health & Safety Executive offers no absolute rules on the frequency of the testing and inspection of portable appliances. The Memorandum of Guidance on the Electricity at Work Regulations only suggests that 'regular' inspection should be carried out. But it absolutely depends on the kind of appliance, the environment and the users of the appliances. The frequency should be adapted to meet the requirements for preventing danger and ensuring safety for the users. Electrical faulty appliances can be the cause of injury or death within workplace or habitable areas, being a risk that can be easily avoided. Through regular checks, thorough inspection and electrical testing the appliances you reduce this risk to the minimum. Visual inspection of your premises and appliances. 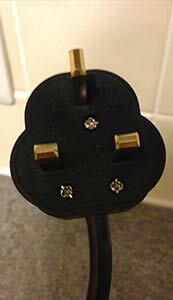 All minor repairs, including fuses, plugs replacements and rewire of plugs will be done at no extra charge. Electrical testing of 240/110/415 volt equipments. Identification of every appliance by a label and ID number with the results report chart of test performed. Identification of all faulty equipment with a special label and with a full description of the reason for failure in the report. Extended report and a certificate ID number of the service, including date, items tested and failed items.